The Expression Templates Resource is a reviewed listing of high quality website template companies. These companies produce professional templates for webmasters. In many cases our reviewers have extensive experience with the products and in other cases we have done a site review to make your job locating a suitable professional template somewhat easier. We hope this listing will save you time searching for well constructed, beautiful templates with high consumer appeal. Expression Web Site Templates also make excellent teaching examples for students of all levels. Many years of graphic design experience has been employed in producing these resource listings but please remember that Expression-Templates.org does not assume any responsibility or liability for these resources. The list is in order of popularity and is provided as a free service, please use at your own risk. Excellent set of business templates. Large selection with very professional and useful online help. i3dthemes A unique group of web professionals, creating original website templates. Templates for your favorite programs. Experience i3dthemes EASY TO USE website templates, PERSONAL custom services & custom designs, visit www.i3dthemes.com and read what our customers have to say. TemplateStore Professionally designed web templates utilizing a combination of easy ways to get your site underway quickly and easily. Joomla Themes Joomla! designs that are among the easiest to install and use. PixelMill Templates with great pre-designed layouts help you to quickly put up a site. Just add your content. 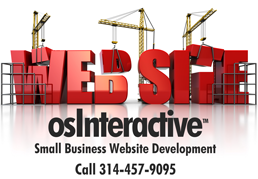 BAC Web Design From very low cost to sophisticated database driven Expression web site templates. Well organized and easy to navigate site templates, BAC uniquely offers customized color options. ExpressionWebLive™ Our own selection of professionally designed templates for all types of sites. Choose from hundreds of templates in many business categories. Designed by some of the best template designers. LegendWebDesign A large selection of templates spanning most types of business activity. Ecommerce and shopping cart templates are a specialty of Legend Web. Easy-to-use Expression Web Templates. Designed specifically for Microsoft Expression Web, Visual Studio and Web Matrix. The selection includes standard, DWT's and some nice database templates. High quality, excellent support. Well thought out and executed templates. WordPress Templates Fancy WordPress templates. There are many free WordPress templates out there and many are quite good, but if you need something different to stand-out these may be for you. Custom blog templates to match corporate identity available also. Crystal Graphics Elegantly designed home pages and coordinating sub pages. Microsoft Expression compatible, so you can use Expression to easily type in your text, add or delete Web pages, or to add additional navigation buttons based on your site structure. Many include Flash animation. Template Monster Highly stylized designs. The largest selection of online website templates we know of; most utilizing Adobe Photoshop PSD files and suitable for all development environments. Try the Template Monster Search website for fast results. CSS Graphics Co. CSS based XHTML compliant ecommerce and standard templates. Not many in the collection as of yet but, the company reports a steady stream of new templates. Templates by AllWebCo Design Good looking Expression intros and sites. Easy to implement, but they do require slight editing to make them Expression compatible.